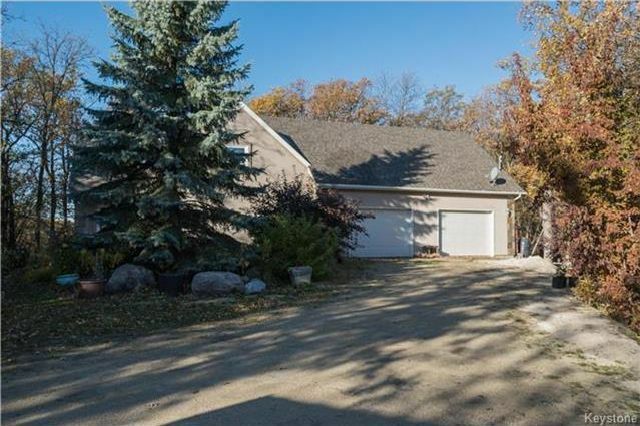 Nestled along the La Salle river on 4.8 very private acres this 2580 square foot home has been designed to fit it’s surroundings. The main living space of this home is all on the second floor with loads of huge windows -imagine getting to live in that treehouse you dreamed about as a child. The spacious kitchen features maple cabinets, heated tile floor, a massive peninsula with granite counters and stainless steel appliances. Off of the bright living room is a second floor sunroom and deck that overlook the river. The 500+sf master features hardwood floor,a walk in closet and amazing views! On the main floor of this home are two more bedrooms,a 2nd bathroom with heated floors and a large laundry room / storage room. There is an oversized 32’x27’ attached garage and a heated 848sf workshop with hardy board siding on the property. The workshop was used for a business and is on a separate hydro line. The current owners have two horses, and so part of the acreage is fenced for them with a horse shelter.